Courtesy soap 14gm x 400. Courtesy bath and shower gel 30ml x 50. Courtesy body lotion 30ml x 50. 50 x Courtesy Shampoo in 30ml miniature tubes. 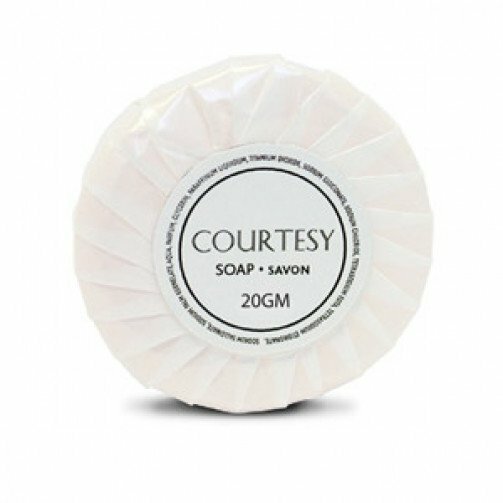 Bath and shower gel sachet from the Courtesy range x 200. Courtesy shampoo sachets 10ml packed in 200. Courtesy shower caps boxed x 200. A semi-transparent poly propylene box containing a small sewing kit, with assorted coloured threads, needle, two buttons and a small safety pin. 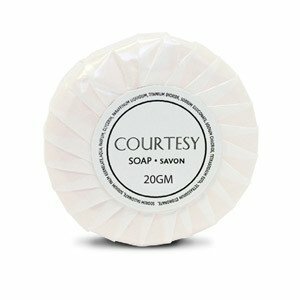 This soap is delicately perfumed and kind to the skin with its gentle formula. The ever-popular and ageless famous name range. Bringing a freshness and natural grace to every bathroom. Courtesy is still the benchmark by which everything we do is judged.